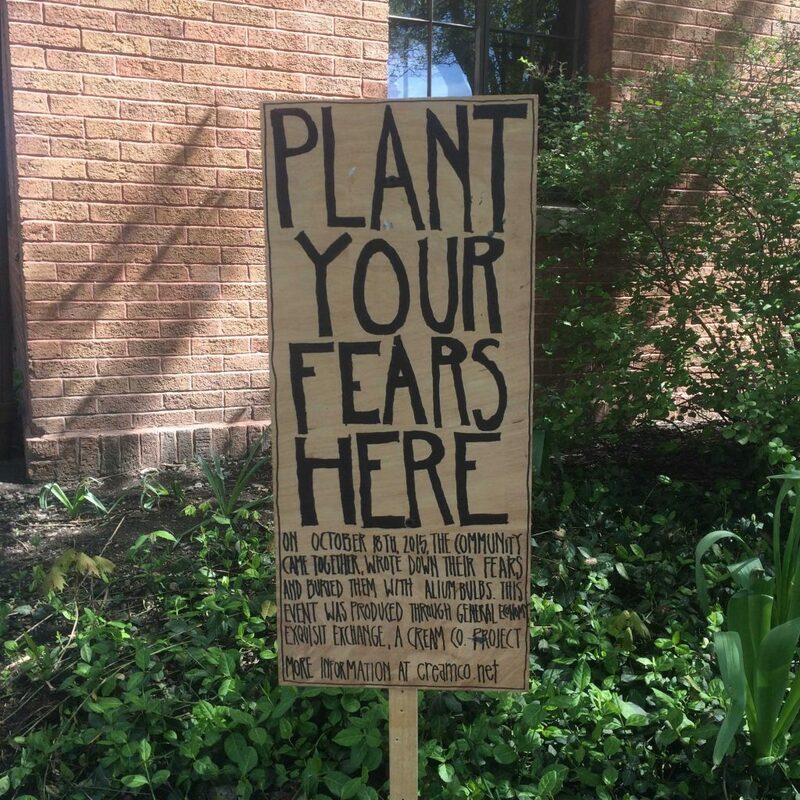 On October 18th, 2015, we produced the event Plant Your Fears Here at the Comfort Station. We recently went back to see how the fears were transforming into alliums. We posted a sign to mark the occasion.